We know how important time is so we are offering a Special 3-Day Colour Training with a choice of drape set, turbo testing collars or training only. If you have always wanted to learn more about Colour Analysis, this is the perfect time to take our Colour Me Beautiful Certified Training course. Anyone who loves colour and would like to know more about how to test people for their best colours to wear will benefit from this course. Our course is also perfect for you if you are interested in the fashion industry in design, personal shopping, retail or just want to style yourself and friends. Scroll down for more details on our Special 3 Day Colour Training. This intensive Colour programme sets the standards for colour analysis worldwide. It will give you the skills you need to have a successful business in the personal image industry as a Colour Consultant. The training includes theory and practical sessions to boost your confidence on how to execute, conduct and communicate your knowledge during a consultation. You will have a chance to practice to enhance your knowledge and confidence. 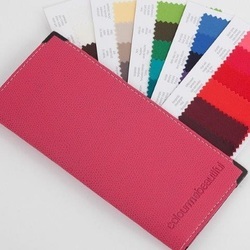 Training includes Colour Swatch wallet and either 135 Coloured Drape Set or Turbo Testing Collars. Colour Training: colour analysis consultations and colour parties. Receive a Certificate from a world renowned image consultancy that is recognised worldwide. To get an insight into a typical day for a Colour Consultant, read our Consultant News Blog. Colour Me Beautiful HK offers pricing options depending on how many products you would like to receive and what you would like to learn. We are here to help you achieve your dream career within the budget you want. Colour Training with book and full swatch. Colour Training with Turbo Testing Collars. Colour Training with 135 Piece Drape Set. Click Here for our Training dates. There are no additional purchase requirements. If you are seeking to build a business and have consultations, then you should allow about HK$ 7,000 -HK$ 10,000 to purchase colour swatches and products to service your clients. See services we offer here. If you are interested in more courses, please click for our Colour & Style Course, Personal Stylist Training, Men’s Image Training which can then be followed by our Corporate Image Training. What support will I receive after completing the training? Most consultants also do the Personal Stylist Training either before or after the Colour Training to be able to offer the entire range of services that clients expect from a Personal Stylist and Image Consultant. You can further enhance your skills by attending our Men's Image Training and Corporate Training.